After working out of three warehouses. Winning Group has moved into its new distribution centre in Hemmant, approximately 11km east of Brisbane, QLD. The team has been doing their best to keep up with growth in demand, working out of three large warehouses until now, so it certainly makes life easier having all of the team and stock under one roof, Winning Group CEO, John Winning told Appliance Retailer. “The new location also sees us moving much closer to the centre of effort of our customers and this will eventually mean shorter lead times for our most urgent deliveries. We also hope to utilise this distribution centre to reach much further north with our own trucks and network, giving customers as far as Port Douglas deliveries via a Winning Group-managed driver. “This allows us to provide all of the full-service benefits our customers love including free delivery, 14 day free returns and removal of old products, to name just a few. “We can’t believe how well Queensland customers have taken not only to the Appliances Online business model but also the Winning Appliances business. 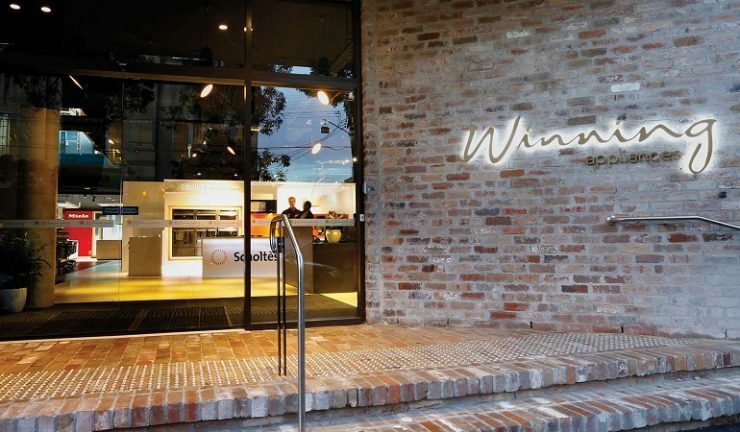 Our new Winning Appliances showroom in Fortitude Valley has been flying and we haven’t even had the official opening yet. “We wanted to wait for the amazing Gurner development of apartments above to complete, so we can launch the store in its full glory, both inside and out. It’s truly an amazing building and showroom and we are extremely proud of what we have built. We also look forward to more Queensland showrooms in the very near future,” he said.